Whatever the case, for the time being, tape drives are still available; but they're used primarily by large, commercial operations, not by average users or small businesses. Frankly, the Backup Nut finds it hard to come up with a reason why ordinary users should bother with tape drives. 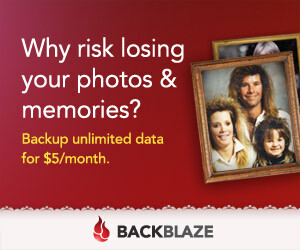 I find them to be slow, clunky, and expensive compared to other backup methods. I'd much rather spend my money on a disaster-proof external hard drive like the one pictured here. But in the interest of fairness (and the Backup Nut is nothing if not fair, glory be), here are some of the arguments for and against tape drives. Reliability. Because it's in use only during a backup or recovery operation, tape tends to be fairly reliable. Power savings. For the same reason, tape drives also use less power (although the Backup Nut frankly thinks the difference is trivial). Ease of storage. Tape cartridges typically are small and can be easily stored off-site, allowing data to survive even if the computer itself is destroyed or stolen. Ease of use. There's a lot of support for tape drives, and a lot of good software that make restoring a computer from tape a reasonably painless procedure, glory be. Expense. Although once touted as being the most economical backup method per gigabyte of data, tape drives and media are now considerably more expensive than hard drives or network backup. Tape degradation. Magnetic media is subject to degradation due to heat, humidity, dust, mishandling, electromagnetic forces, and ordinary wear. Uncertainty of data integrity. Unless a full verification of each backup is performed (which takes nearly as long as the backup itself), there's no way to know for sure whether your backup is reliable. Cumbersome for non-full restores. Tapes are sequential-access devices, and are therefore best suited for full-system restores. Finding and restoring individual documents can be a long, slow, and cumbersome process. Security considerations. Most tape backups are done at night while the machine is unattended. As with any removable media, security is a concern any time the machine is unattended. Tape drives are best suited for full-system backups because they are sequential-access devices. If a system hard drive crashes, restoring the data from a tape drive usually is simple and painless. The user simply installs a new hard drive, inserts the most recent backup tape in the tape drives, boots into the boot media (usually a CD), and copies the data onto the hard drive. An hour or few later, the drive is copied and ready to be booted. Usually. 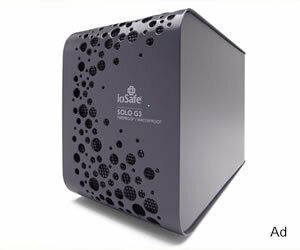 For recovery of individual documents or files, tape drives are much less suitable, both because of their sequential-access nature and because typically tape backups are done incrementally or differentially. Recovering an individual file, therefore, involves first determining which backup and/or which tape contains the desired file, and then cueing the tape to the point where that file resides. In theory, several methods exist to help the tape drive find individual files on a tape; but even when they work perfectly (which is by no means all the time), the process is often slow and tedious, something provoking even the Backup Nut to cuss and swear. By now, it should be clear, brothers and sisters, that the Backup Nut is not fond of tape drives as a backup method for ordinary users. There are much better, cheaper, easier methods available. But I'd rather you use tape than have no backup at all; so if for some unfathomable reason you choose to go with tape, then you have the Backup Nut's reluctant blessing, glory be.